In LS Fellows' short story Magical Memories, we are confronted with one family’s loss when their father, Archie Royale, is in his final moments and later passes on to the next world. The narrator has a way of really putting you directly into the story as most of us have fathers we care for. Magical Memories is filled with sorrow, but also moments of humor that bring the spark of life back into it. Some of the few lines that I favored most are: “That tiny mass of flesh had been my last tangible connection to him. It wore his clothes, his Fair-Isle sweater and plaid trousers…” LS Fellows has a style of writing that feels welcoming and familiar, drawing you in close. Magical Memories by LS Fellows made me weep. The thought of my parents eventually passing is something I just can’t fathom or even look at fully, being an only child. Magical Memories will create a sad ache at first, but then as the story progresses the void is beautifully filled. 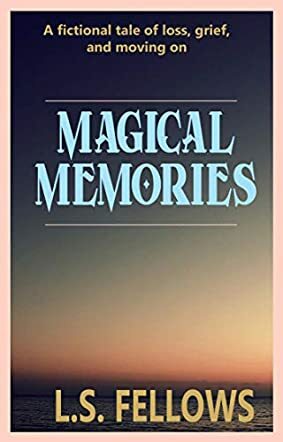 While only a short number of pages, Magical Memories is able to completely enthrall you and respectfully transport you from your comfy chair to a nursing home and other environments. It captures to perfection the life of a family in turmoil after death and the arguments that can transpire when they are in their darkest days. LS Fellows creates a world that we all know is coming, or has come already to some of us, and manages to lift some of that sadness by the story’s end.